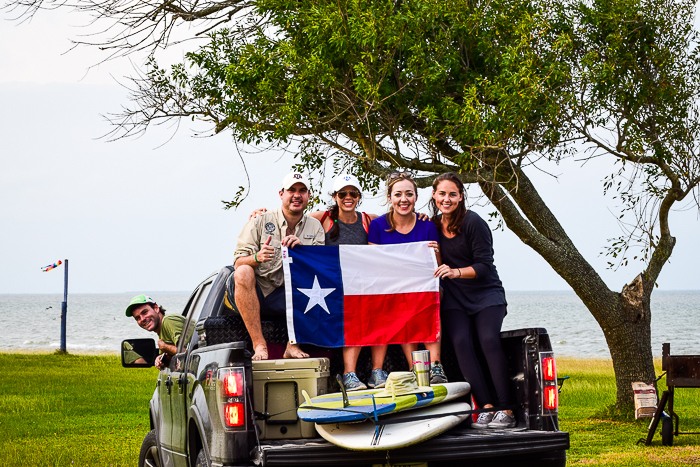 Whit's Wilderness | A Sneak Preview of Texas’ NEW State Park! 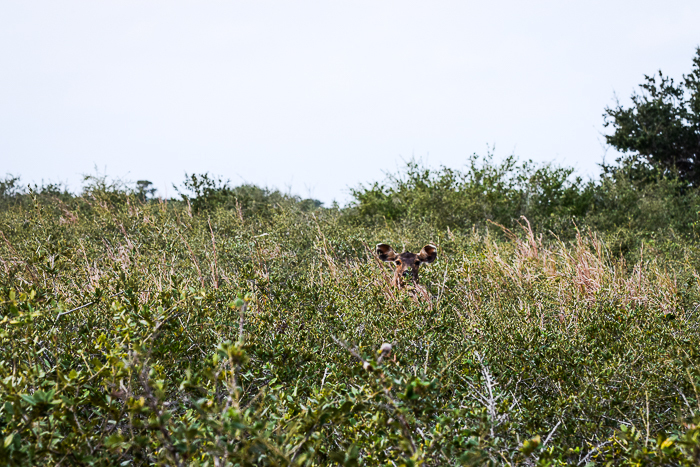 A big ranch on the Texas coast has just been set aside as our NEWEST state park, and guess what?! Today you get a sneak preview of it here on Whit’s Wilderness! I’m excited to share it with you because A) it is gorgeous, and B) I have a feeling it’s going to be one of our most popular state parks, and you need to be in the know. 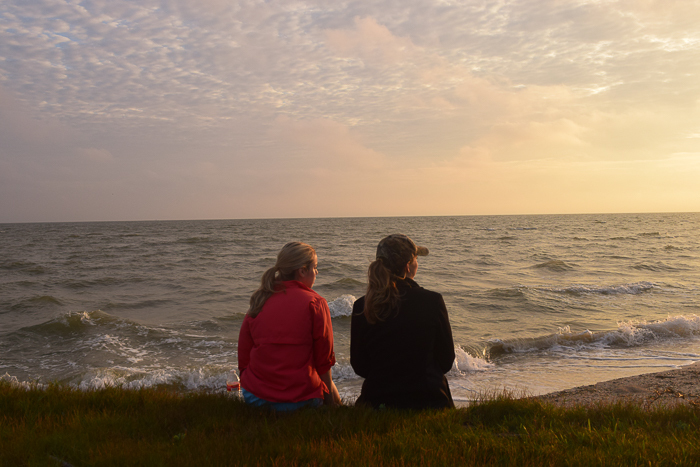 The park is called Powderhorn Ranch, and it is located near Port O’Connor, Texas just up the coast from Rockport on Matagorda Bay. 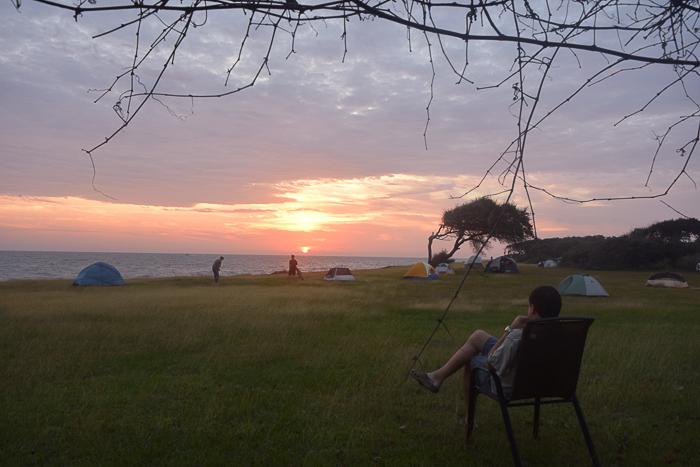 We were there on a camp out with Stewards of the Wild, a group for young people in their 20’s and 30’s who are into the outdoors and conservation. This is a GREAT group to join, they always have fun activities that show a “behind the scenes” look at Texas Parks and Wildlife happenings. 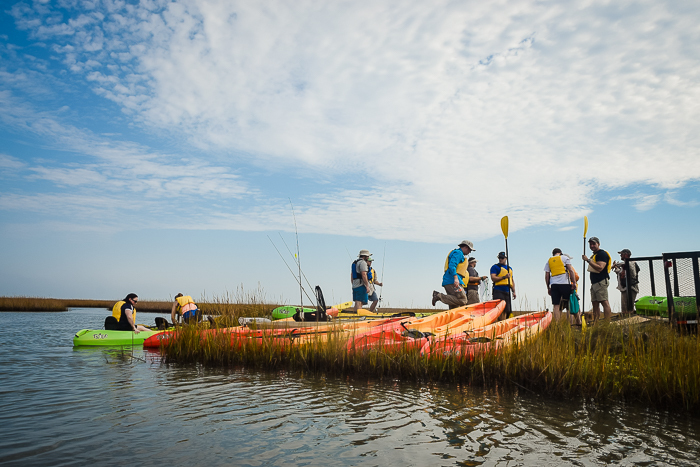 At 17,000 acres, Powderhorn is pretty sizeable (Memorial Park in Houston is 1,400 acres, for comparison) and it’s right on the beach in prime fishing, hunting, birding, and kayaking territory. 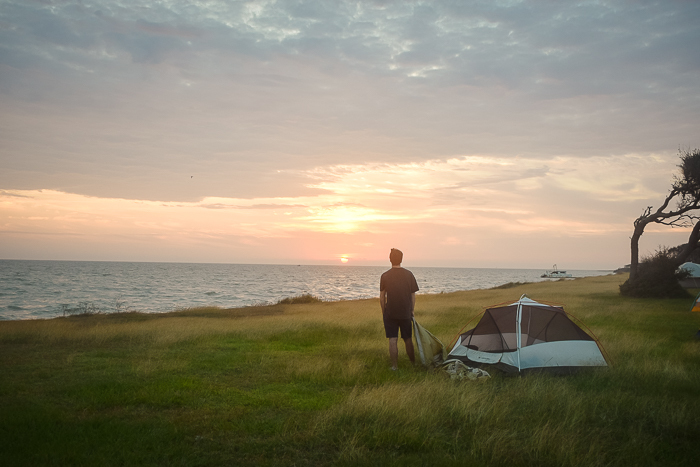 We got to camp right on the water, with the soothing sound of the waves to put us to sleep and a killer sunrise to wake up to the next morning. We felt totally spoiled to get to see this park before it opened to the public, and had so much fun driving around looking at wildlife, kayaking, and fishing on the coast. Panoramic beach views and an entire row of posts just for hammocks make it simply heavenly. Brandon tested out the hammock situation just for you all, and he reports that it is up to his napping standards. 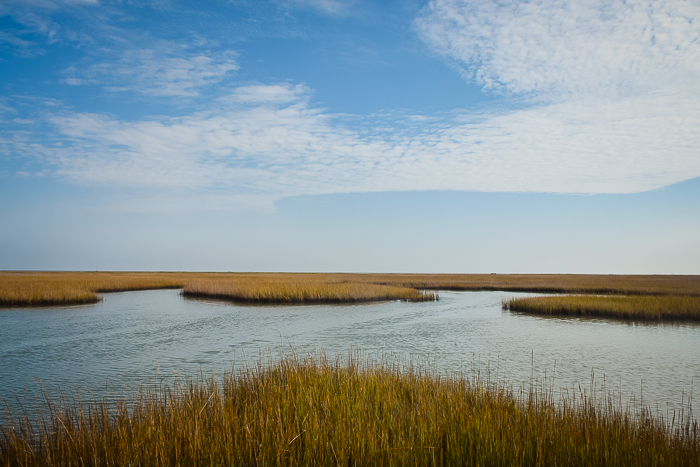 While a lot of land along the coast is flat and marsh-like, this ranch has such diverse scenery, from freshwater ponds that the birds and alligators love, to oak thickets, tall grass prairies, and beautiful grassy coastline. It was seriously so pretty. 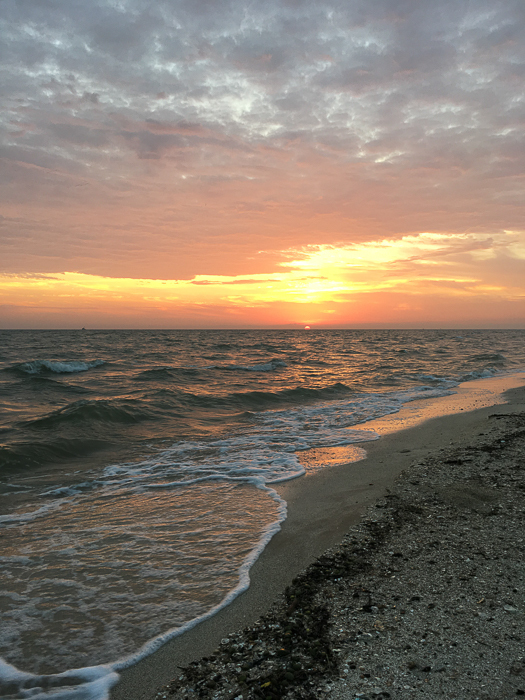 In the future, a huge portion of this land will be used for public hunting and about 2,500 acres of oceanfront property will become the state park. The prime part of the coastline is going to be the heart of the state park, and campsites are going to be strung out along the waterfront. I think this is going to be the part of the park that makes Texans fall in love with their state all over again. The sunrise from this point is simply beautiful and there’s not a building for miles to ruin the view. 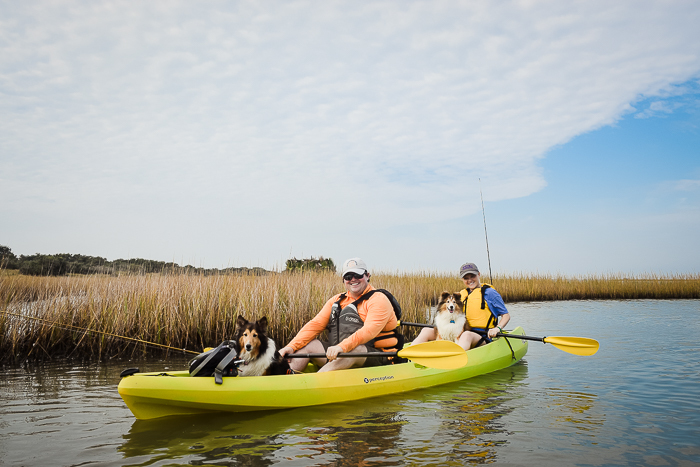 You will want to bring your kayaks (or rent them from the park) because the fishing and sightseeing along the coast is something out of a magazine. 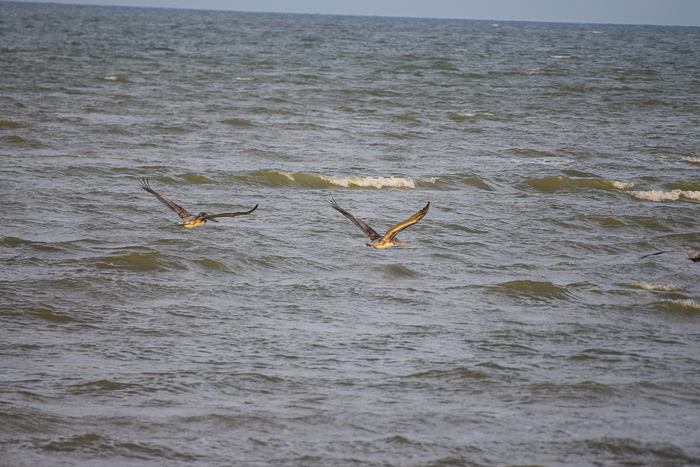 As a wildlife lover and so was avidly photographing all of the deer, herons, pelicans, and shorebirds. Texas is a huge haven for migrating birds, and given how large our coastline is, we are a major part of their migratory route. 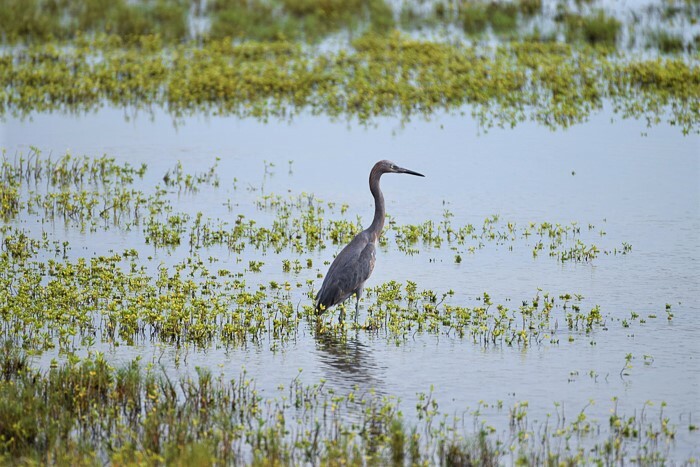 They love the freshwater ponds and estuaries along the coast, and after a long gulf flight they love hanging out here and refueling on the fish, plankton, and plants in marshes and wetlands before continuing on their journeys. 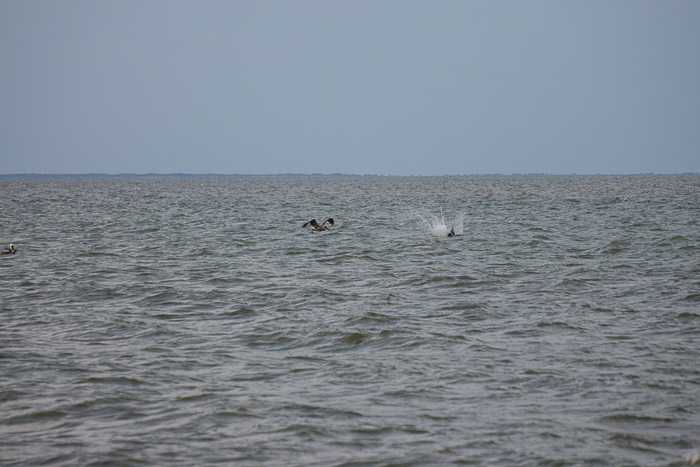 One morning I watched about a dozen pelicans dive-bomb their breakfast of fish just under the surface. 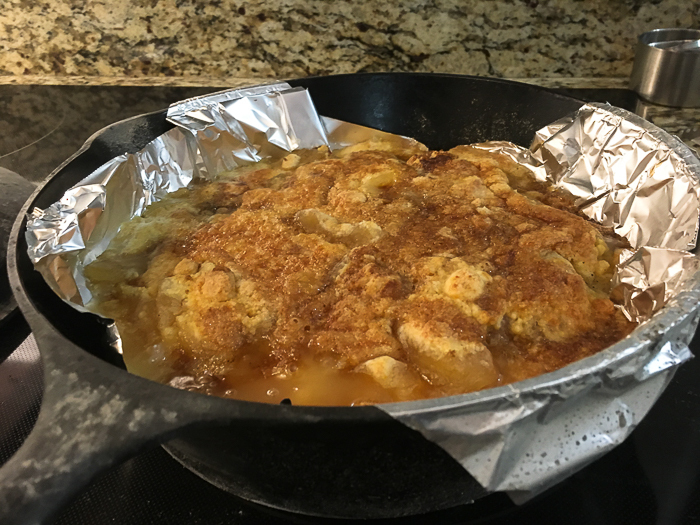 Later that day I made everyone apple cobbler on the dutch oven and it hit the spot. 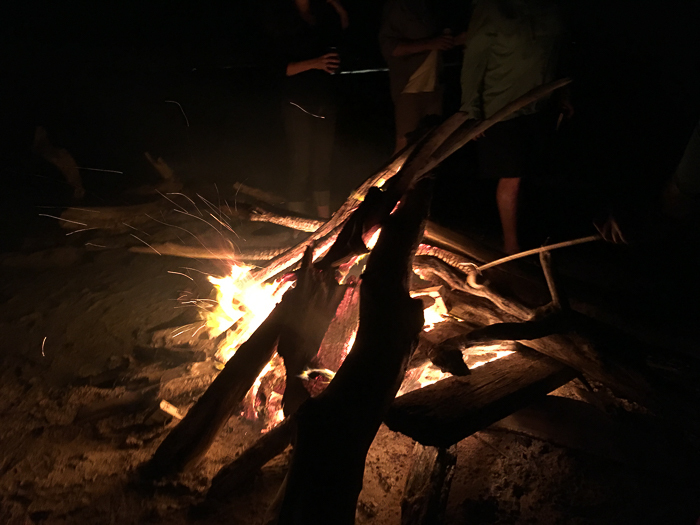 We had a big bonfire on the beach that night, and I was reminded how much I love beach bonfires. Beach bonfires are the best. But of course, not every camping trip is perfect. Ha. A huge thunderstorm pelted us with rain and wind Saturday night and we made a fun little discovery that our tent was not “waterproof” at. all. Water came through the roof and puddles formed around the edge of our tent, soaking our belongings. We layed awake from about 2am to 5am as the thunder and lightning passed overhead. But despite it all, we had such an incredible time and I once again was wow-ed by the natural beauty of our state. We are so lucky to have places like this to enjoy and I am so excited for the many Texans who will get to visit this ranch and make memories in years to come. One day I’ll get to tell my kids, “Your father and I came here before it was a state park, before there were restrooms, roads or any of these fancy amenities!” We’ll tell them about how we got stuck in a thunderstorm and how we had sticker burrs in our sleeping bags. I’m sure they will roll their eyes. But I still can’t wait to share this slice of pristine Texas coastline with them. How YOU Can Go to This Park Before it Opens! If you are between 21 and 45, and live in San Antonio, Austin, Houston, or Dallas, you can join Stewards of the Wild. They will be making one last trip to Powderhorn next year and you can join them. Lots of sticker burrs, beware! Bring a tarp to put under your tent. We had sticker burrs and thorns poking through the floor of our tent. I personally can’t wait to sign up for public hunting down at Powderhorn. 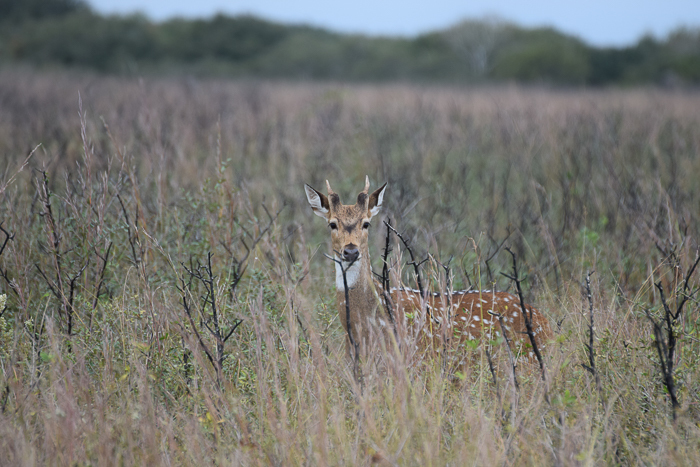 Public hunting will open in 2018, before the rest of the park is open to the public. Those of you looking to put wild game on your table can look forward to that! See my instructions for how to hunt Texas park land here. A “powderhorn” is what they used back in the old days to hold gun powder, and was typically a cow or buffalo horn with the ends sawed off and stoppers at both ends. It was worn around the waist/cross body. The lake near Powderhorn Ranch is shaped like a powderhorn, hence the name. Thanks to PBS’ The Daytripper for these tips! Fishing Guide: Capt. 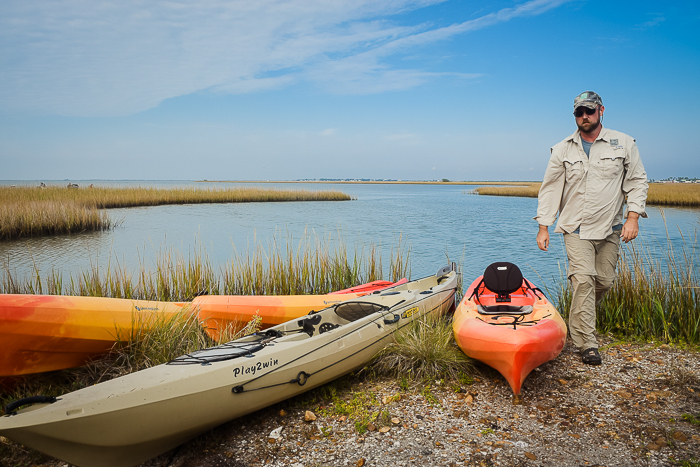 Mike Bohac at Fishing Tales Guide Service – He can guide you and help you catch Texas red, trout, flounder, and more. Food: Josie’s Mexican Food will cook up your fish for you! I hope you all get a chance to enjoy this beautiful park some day! 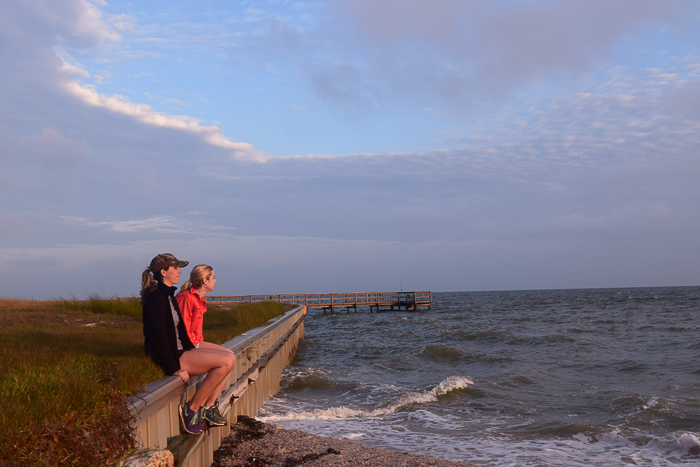 Until then check out our many great state parks on the coast, like Mustang Island and Galveston Island. 34 Replies to "A Sneak Preview of Texas' NEW State Park!" Thanks Whitney for the thorough and glowing review of Powderhorn -complete with a sticker heads up. Well done! It sounds heavenly! And thank Brandon for checking out the hammocks for us. Somebody had to do it! Thanks Jan! If anyone was up to the task, it was Brandon! 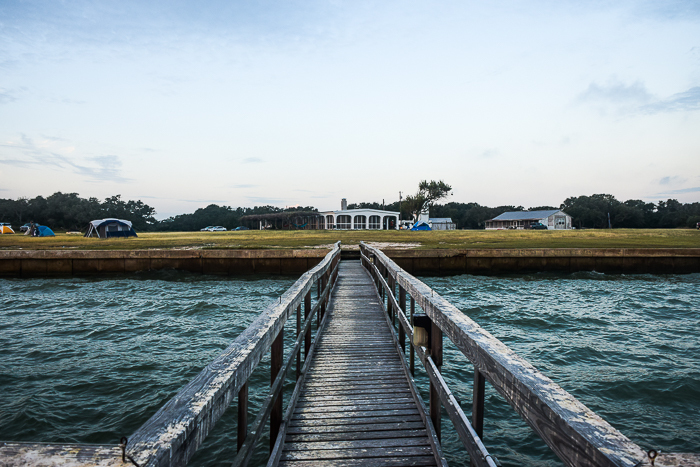 What a treasure…to have this become a new state park! And this is probably the best time of the year to preview it! I agree! I think everyone’s going to love it. We had a warm weekend just before the cold front arrived. When I was a boy two friends and I spent the night in a lodge on the Powderhorn that looked just like the one shown with the grape arbor in front of it. 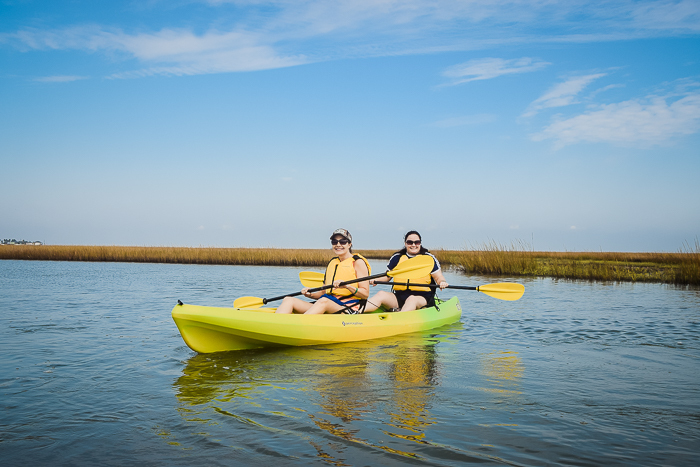 We crossed Powderhorn bayou and went down the beach until we saw that lodge. It was wide open and appeared to be totally empty—but in good condition and obviously well cared for. The acquisition of that land for a park is a major piece of good work for Texas. That’s the one, Charles! The lodge was recently restored and aside from a few millipedes it’s looking great. The land doesn’t look like it has changed much in a while and it’s neat to have this piece of Texas’ natural heritage preserved. So great to see a new state park developed!! You’re pics are great!! Thanks Liz! We need to go when t opens! Just curious…….i am 55 and would love the opportunity to see this before it is a developed state park. Additionally, I do not live in Houston, Austin, San Antonio or Dallas. I am confused as to whether or not I would be able to participate in this. 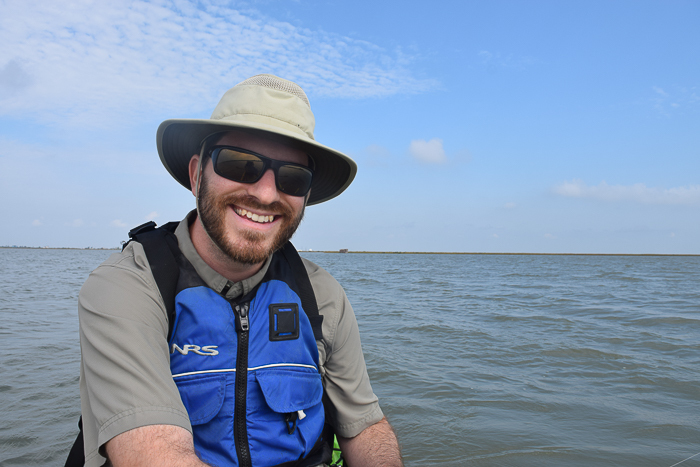 Hi Rob, while this trip was just for the young professionals group you can contact the Texas Parks and Wildlife Foundation and see if there are other groups they are allowing on the property! I’m sure they would like to know if others are interested. Is that a Fallow Deer in the park? Are there exotics there? If there are will we be allowed to hunt them? Hi Larry. Yes there are exotics! However I don’t believe TPWD has stocked them. I would imagine that when public hunting opens here you can apply for a drawn hunt that includes exotics. We will know more in a couple years when TPWD publishes its rules on this park. I think it might be an Axes (sp) deer. Looks like the one’s I have seen. That would be great! If you can email me at whitney@whitswilderness.com I will add it to the blog! We were just there on Sunday. We were visiting friends who live next door. Amazing gift to the state given to us by the state. Thank you. Yes, I agree Barbara!! I’m so glad Parks and Wildlife Foundation got the support they needed for it! Yes! Always grateful for beautiful places to visit close to home. Will this park have full rv hookups? That’s a great question Reggie. I think Texas Parks and Wildlife is still planning out the park facilities so if you wanted to contact them and make the suggestion I think that would probably be helpful! I’m sure you’re not the only one who would like that. I certainly would! I’m 46 & jealous too. If you have children or grandchildren ages 9-17 or want to sponsor a youth, Texas Youth Hunt Program will be conducting Hunts here. It’s a fantastic program, have both of my daughters in it. TYHP is a GREAT program. Thanks for making the suggestion. Looks like it will be a nice addition to the Texas State Park System. I hope that there will be adequate protections for the several whooping cranes that winter there. I hope so too! Have you ever seen them? 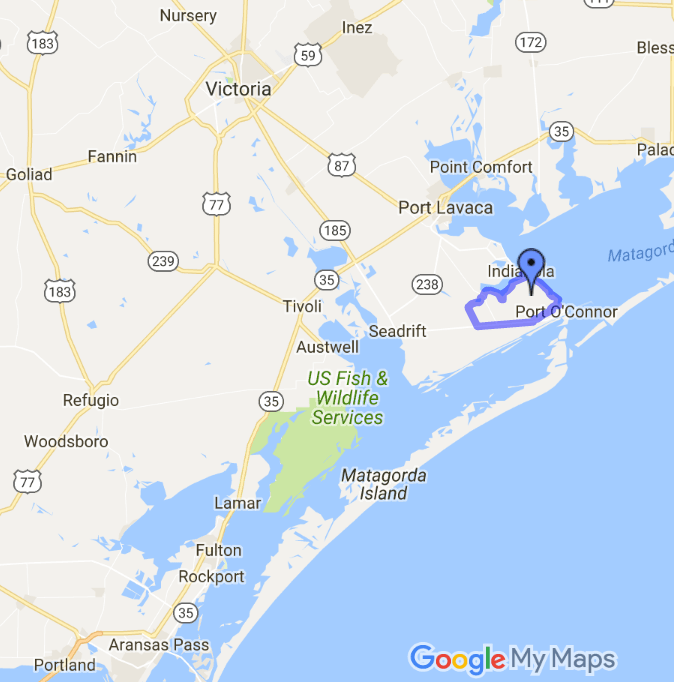 I went down to Port A but the boat ride to see them was cancelled (after I had driven 4 hours) so I only got to see a pair from about 500 yards away. Still very cool! Does this property border the old Indianola townsite? I believe it is close by but I am not sure about bordering it. You would need to as Texas Parks and Wildlife! The locals have been hearing of this park for awhile now ! We are all very excited.. however I do believe the locals should be on that list of 1st visitors if they would like to be ! Will there be sites for RV’s? I am not sure but encourage you to contact Parks and Wildlife and let them know you would like that! I spent part of my youth growing up here. Many mornings waking up to awesome sunrise over our tiny town. Fourth of July’s with fireworks reflecting on the water. Shrimp boats manned by our friends and family, the cry and cluck of the seagulls so familiar as we worked and played everyday. Days and nights fishing pier, the flats or out in the bay. I am joyful to know about this park!! That’s awesome! It’s a gorgeous part of the state.